The average house price in Scotland increased by 3.2% in the 12 months to January 2019 to £184,324, outperforming England and Wales, the latest agent index shows. 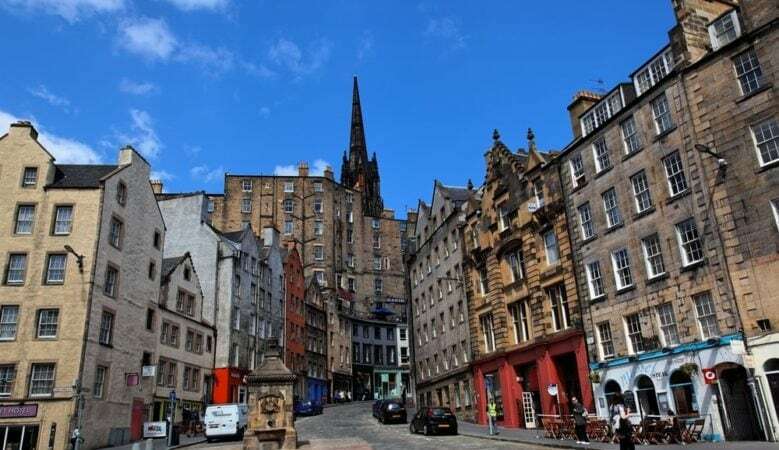 Price growth has been led by Edinburgh where the rise is double that of any other UK city and the Your Move index also shows that sales in Scotland were 4% higher in the fourth quarter of 2018 at a time when the market is often slowing. Indeed, more than half the increase in the average price over the last year can be traced to Edinburgh with prices up 10.4% annually, rising to £289,327 at the end of January. It is the seventh time in the last 12 months that Edinburgh has recorded double digit house price growth. There was also strong growth in East Lothian with prices up 7.1% annually, while in Perth and Kinross they were up 7%, in North Lanarkshire up 5.4% and in Midlothian up 5.4%. These five areas accounted for 85% of the increase in Scottish prices. According to Steve Hardaker, Your Move managing director in Scotland, this reflects that the bulk of the sales in Scotland are concentrated in a few areas that are performing strongly, it should not detract from good growth seen across the country. He pointed out that there has also been good price growth in Stirling, which sits just outside the top five most expensive areas and is up 6.1% annually, as well as in Moray up 5.8% and West Dunbartonshire up 6.9% with all three setting a new peak average price in the month. In Na h-Eileanan Siar, the cheapest local authority area, meanwhile, prices were up 7.1% and overall more than 80% of the 32 local authorities were showing growth on an annual basis. Of those that have seen falls, meanwhile, the biggest drop is in the Scottish Borders, where prices fell by 15% annually and fell 7.3% in January alone, the biggest monthly decline. In large part, however, this reflects the fact that January 2018 saw the sale of a home in Melrose for £2.25 million, the eighth most expensive home sold in Scotland in 2018. No similar such sales weigh on the average this January. The more significant fall is in Glasgow, where no such ready explanation can be given. Prices there are down 2.3% annually, a sign, it I suggested, shows that Scotland is not totally immune to the uncertainty weighing on the UK at the moment. ‘The market in Scotland continues to grow robustly with properties across all price brackets making it an incredibly attractive market,’ Hardaker added. According to Alan Penman, business development manager for Walker Fraser Steele, one of Scotland’s oldest firms of chartered surveyors, Edinburgh growth is strong when it is compared to all other UK cities. ‘Compared to the rest of the UK and the other major cities it’s a phenomenon. We should be looking carefully now at how we can ensure adequate supply for a market that is seeing such strong demand,’ he added.